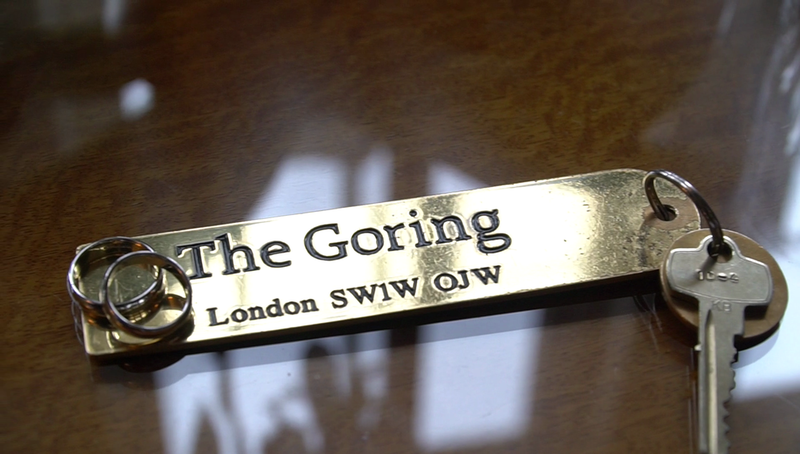 We got a call from Lindy Dowling who we have had the pleasure of working with on numerous occasions asking if we were free to film a wedding for her clients who had decided on having their wedding at The Goring Hotel. 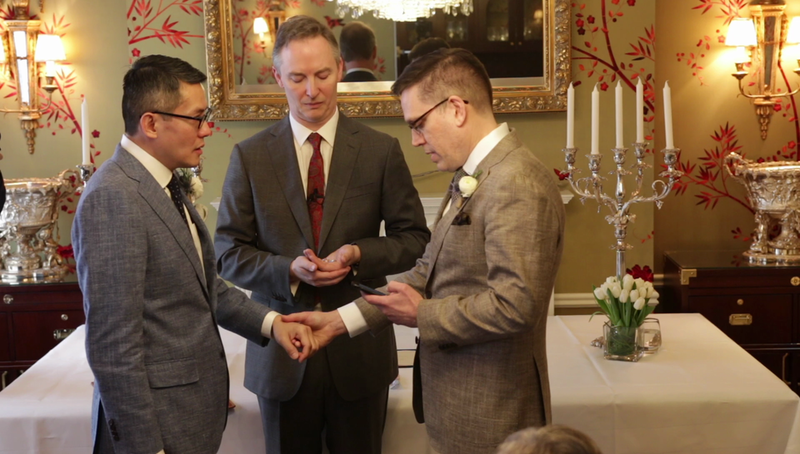 Her clients Steven & Doug had travelled from America to hold a very special humanist ceremony in London as they had a very romantic holiday here the year before. The ceremony was exactly 2 years to the day that they met! 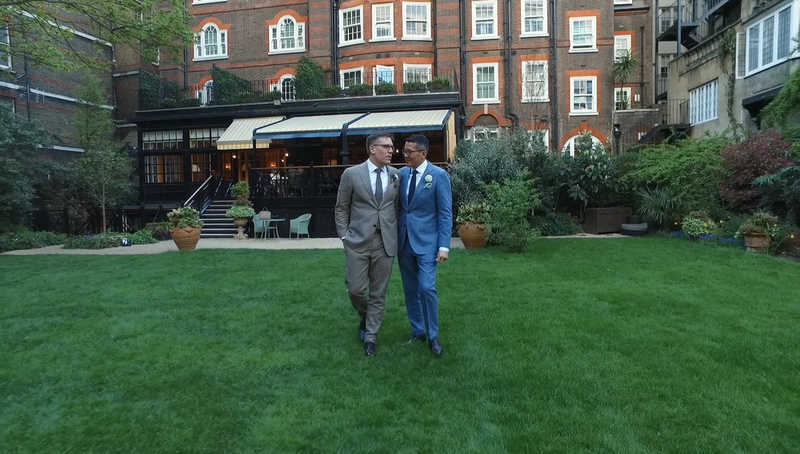 Steven & Doug had very close family attend the ceremony who shared in their joy and celebrated the day with a lavish dinner and drinks reception. 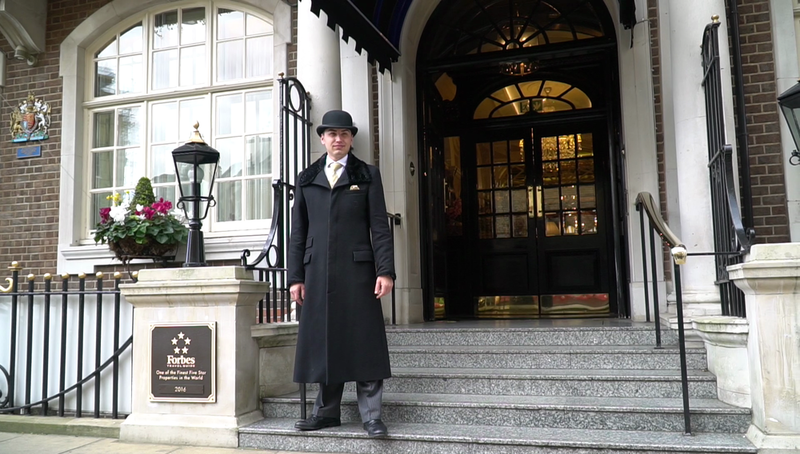 We loved being the wedding videographers for this special couple as they radiated warmth and the loving relationship between them was very evident and emotional. 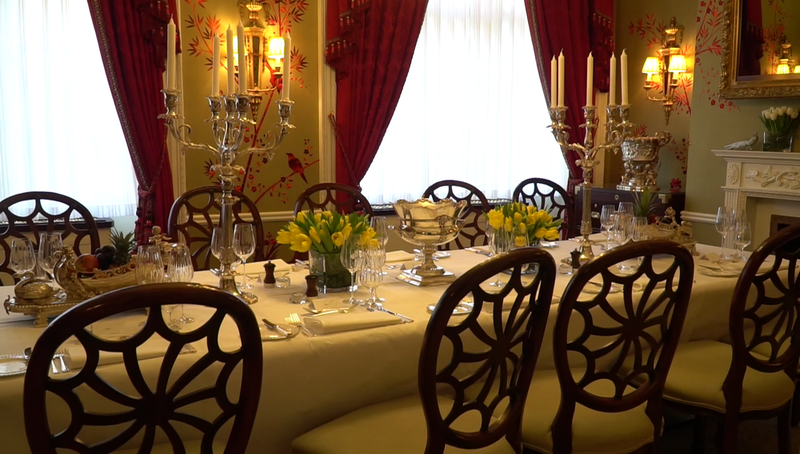 The Dinner table was decorated with spring flowers and the finest table ware which you would expect from such an Iconic Hotel as The Goring. 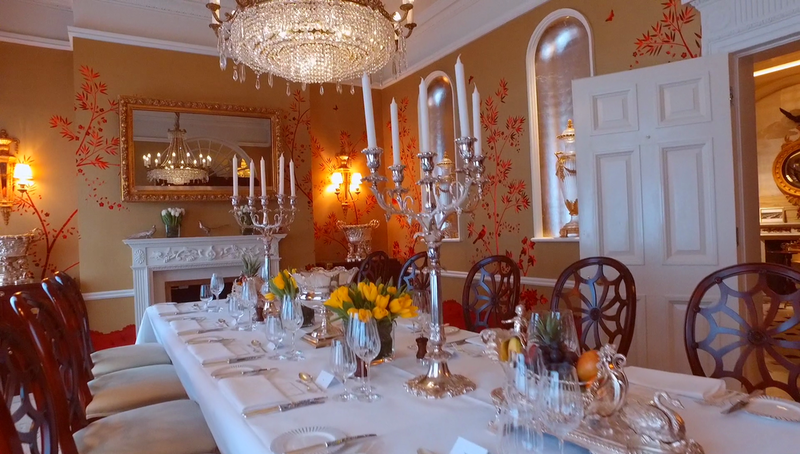 Steven & Doug really appreciated the cinematography element and detail we brought to their wedding film, Steven works in the field of Cinema so understood the process. Doug was all about the details and together Steven & Doug's wedding was a beautiful day and a pleasure for any wedding videographers to be a part of. We wish them both a lifetime of happiness, health and above all L.O.V.E! !